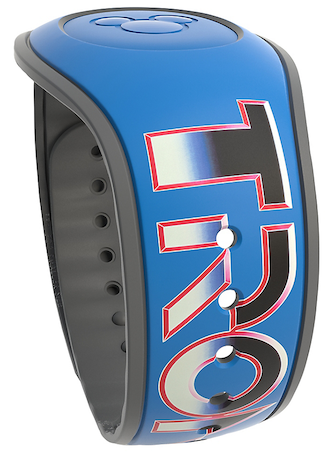 The Tron MagicBand that I mentioned in a post a few days ago is now available. It’s in the Shop Disney Parks mobile apps and it is a Limited Release for $27.99. The barcode/SKU of this item is 400020167125. I am unsure if this will always be exclusive to the app or if it will appear in the theme parks as well. 10 Responses to "Limited Release Tron MagicBand now available on the Shop Disney Parks app"
It’s out of stock on the app now. I wonder if it’ll be coming back. 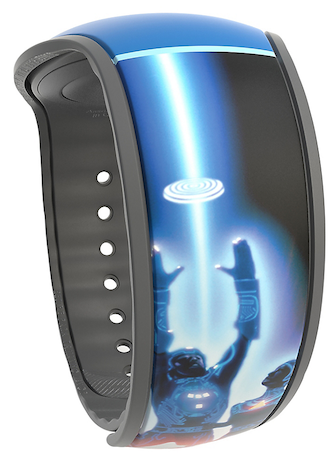 Love Tron and very excited about this MagicBand! I’m guessing it won’t have any special effects when using at the parks? Nope. Special effects are only for Limited Editions. I was able to purchase my TRON magicband2 at Pin Traders over at Disney Springs along with the new 2nd limited edition Beauty & the Beast magicband2, yesterday!! !